With Earth Day approaching, new research from Binghamton University-State of New York could help U.S. residents save more energy, regardless of location, if they adjust the angles of solar panels four to five times a year. "Regardless of the perks of renewable [energy] resources, there are problems with cost and performance. Solar energy provided by photovoltaic (PV) panels is no exception. 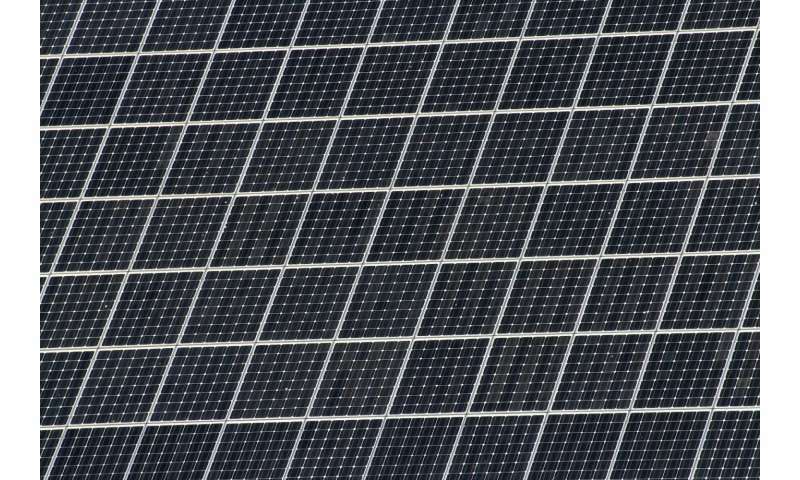 One of the solutions is to increase the efficiency of energy generation by tracking the sun," said Shahrokh Akhlaghi, a PhD candidate in the Electrical and Computer Engineering Department at Binghamton University and the co-author of "Study of Sufficient Number of Optimal Tilt Angle Adjustment to Maximize Residential Solar Panels Yield." Morteza Sarailoo and Hossein Sangrody are both co-authors of the paper and also PhD candidates in the Electrical and Computer Engineering Department. Mandana Rezaeiahari, a PhD candidate in industrial engineering, is also a co-author. "Adjustments do not coincide with seasonal changes," said Sarailoo. "Our new study shows that four adjustments at optimally divided intervals can provide around 25 kW/m2 more power than adjusting the tilt angle four times a year based on the seasons." Some residential solar setups increase efficiency with an automated tracking system that constantly adjusts the angle of panels. However, the mechanization adds another layer of cost on an already expensive installation process. If residents want to save a little bit, they can adjust their panels four to five times throughout the year according to the research, which was based on data from the National Renewable Energy Laboratory (NREL) website about nine different locations in the United States. The intervals and angles of the adjustments depend on the geographic location of the panel. "We were surprised to conclude such a small number of intervals can result in such high performance. We had expected a number 3-4 times larger," Sangrody said. "The need for only 4-5 adjustments shows that not only is manual adjustment practically possible, but also economical," added Akhlaghi. The findings were presented at the 2017 Power and Energy Conference at Illinois (PECI).